A template to use when learning and ordering the days of the week. Ideal to use in the classroom when learning to identify, read and order the days of the week. 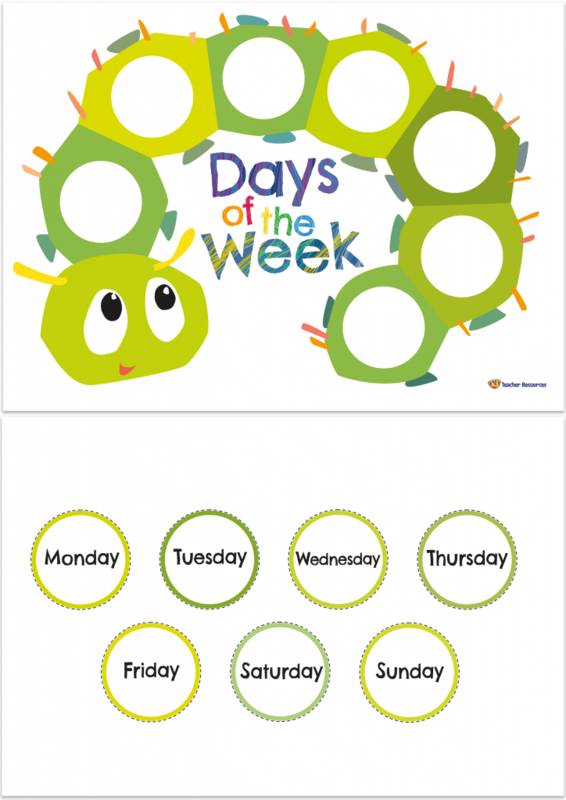 Download and print the caterpillar template and the days of the week cut-out circles (one per student). Read the story of The Hungry Caterpillar. Discuss what the caterpillar does on each day. As a class, discuss the days of the week and their order. Ask the children to cut out the days of the week circles and to glue them in the correct order on to the template. What comes next? Discuss proper nouns and why weekday names always start with a capital letter.